As you may have seen on Instagram this week, I am in a sort of Royal Wedding come-down. To be honest, since doing my family tree in a 3-month-free-trial frenzy on Ancestry last year, I have been into a lot of aspects of British life (I can trace my family back to the Norman Conquest). Having had finals during Kate and Will's wedding, this is the first one I felt invested in. All it did was make me even more ready for my own wedding. We are officially at the 166 day mark. And now it is Sunday and I am a little late getting to this week's edit. And while it hasn't had as much traction as some food posts, I don't mind. I'm enjoying letting you into another side of me. 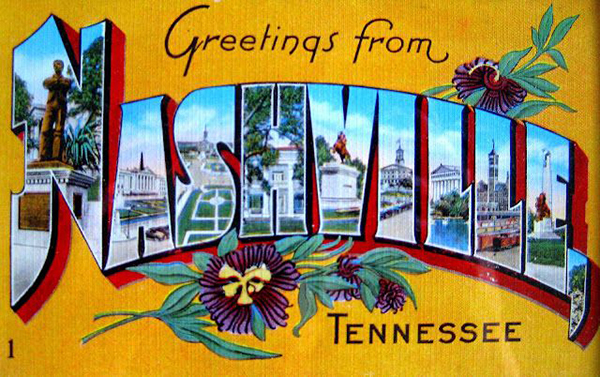 Without much notice, I have to go to Nashville this week for work. I've never been. Unfortunately, I will be sequestered to my hotel room or the office, with just business dinners to look forward to. I'm already missing the dogs, chickens, and Nolan, but I'm excited at the prospect of room service and perhaps an hour to myself in the pool (...and then even more room service). I'm even more excited to use my Delsey luggage, as it's deceptively roomy. Last time I packed two suits, a travel steamer, two pairs of dress shoes, and usual sleepwear. But, if I am lucky enough to snag a lunch by myself, I'm hoping I find a vegetarian restaurant, as I've been meat-free for three solid months now. As mentioned above, this was the first Royal Wedding I've really gotten to watch and, to an extent, care about. 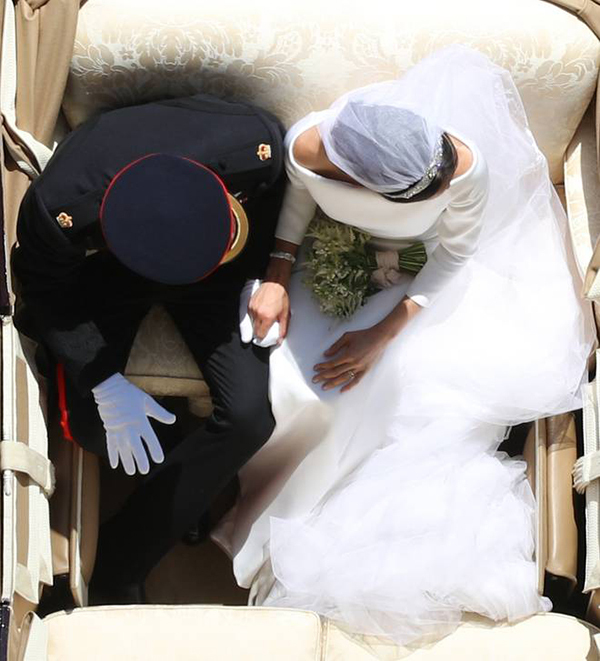 I won't wax poetically about Meghan and Harry, but I love their love and I love how truly happy they both seem. I think after months and months of only reading about the horror of Trump, it's been a nice oasis to see some good in the news. Since seeing some cute little heart-shaped spongecakes from Emma Thynn, Viscountess Weymouth, I've had it in mind to make my own. Here, I've made some tea cakes with jam and buttercream. The recipe is so easy, I've thought I'd share it here instead of in my blog today. This is my baby, Murphy. 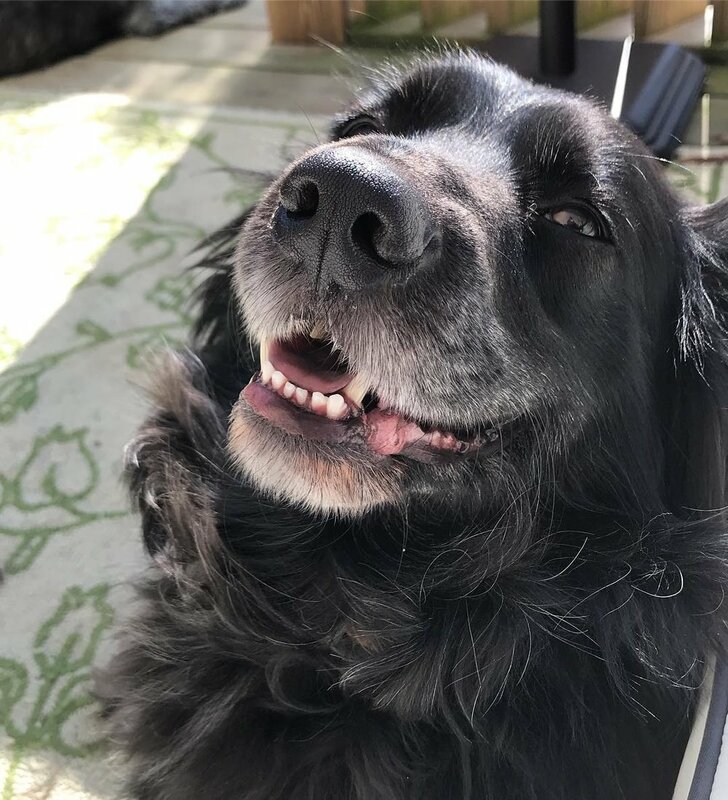 He's the most gentle boy in the entire world, who loves with his whole heart, can find even the smallest corner of your arm to cuddle in, and loves to sit out int the sun for hours and hours and hours. Today, we found ourselves in the emergency vet clinic with Murphy. On a walk, Nolan found a bump on his tail. We remained calm for the dogs, but internally, I was sick to my stomach. It turns out that it's a benign tumor that will need removed, but is nothing to worry about. We'll schedule it for the next couple of weeks, and he'll get a teeth cleaning for good measure. I love him more than anything in the entire world, so I am especially relieved today. And, because he was such a good boy, he got some McDonald's on the way home. Since buying our home, I've slowly but surely been leaning towards following more home interior Instagrams and blogs. I also follow a few children's toy companies, because they're always just so...precious. 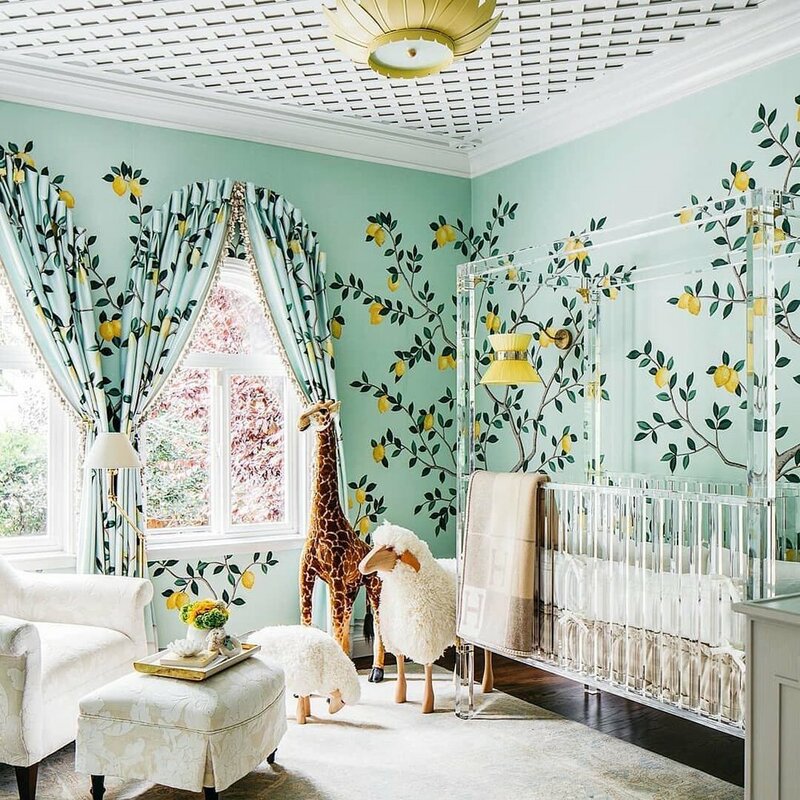 I found this baby room by Dina Bandman to be just so perfectly inviting with just the tiiiiiniest bit of whimsy that I adore (those sheep!). Between this and Alice Naylor-Leyland's touch on Stibbington House, I think we know what's inspiring me this year as we have a little more budgeted towards the house compared to last year. I'm finishing this post early so I can do my face mask, finish packing, and watch Westworld. If you haven't started it, I highly recommend. 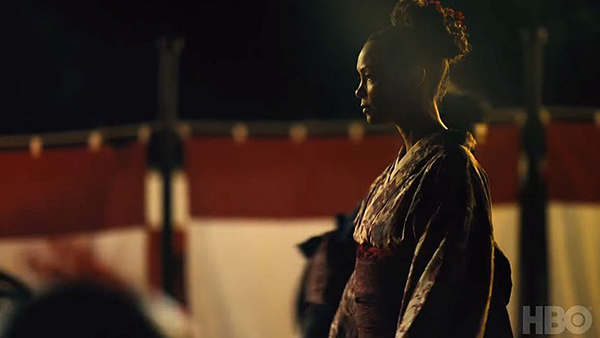 I love a series with good world-building. And if you're like me and can't get enough Thandie Newton (a goddess), then I recommend her TED Talk to tide you over. And last but not least...check to see if you vote this week (Arkansas, Georgia, Kentucky, Texas)! I'm currently writing this newsletter with the door open, my third cup of coffee in hand, and the sound of the dogs panting on the deck. I just texted Nolan than I want to take a vacation (I text this just about weekly, though). It's officially been in the high 70's for the better part of the week, which means I am itching to (finally) start my garden project. But I'm sequestered to my office for 8 hours for work, so I might as well stay busy with some (light) online shopping and some (not-so-light) daydreaming. I am a huge Hugo Guinness fan and I stumbled upon his newest prints, an author-inspired series of block prints. It runs the gamut of classic writers, from Poe to Balzac to Twain. 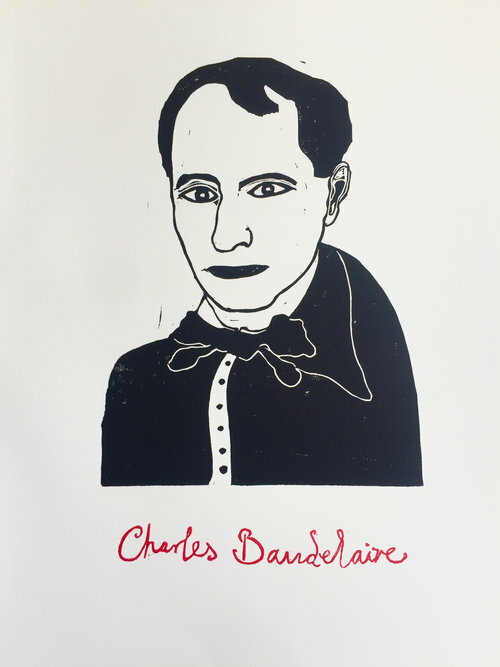 My personal favorite right now is the Baudelaire print (shown above), but that may be because I just finished the second season of A Series of Unfortunate Events on Netflix. And while I haven't read Les Fleurs du Mal since freshman year, but maybe with a little help from Rosetta Stone* I can read it in its original text. *I am currently on currently on Level 1, Unit 1, Lesson 3 and just learned the difference between the French pronounciation of "o" and "-eau", so maybe this is a goal pour l'année prochaine. And while we're on the topic of home decorations, how absolutely lovely is this china pattern from a set my mother gave me this week? It's a full service set that she picked up in North Carolina. It's a brand called Lynn's and the pattern is Bennington. I love its bit of gold and its overall simplicity. Our good china is a little busy, filled with pheasants and larks and maroons and grapevines. So I'm hoping to make this more of an everyday sort of set, even if it's just for a picnic in our soon-to-be garden. But, for now, I've been enjoying a bit of Salada in these cups, because I think it's all about mixing high and low, right? Nolan and I both follow all the local animal shelters in our area. While we're perfectly happy with our three (well, two out of the three we have, as Milo is having some behavioral problems right now! ), we can't help but look at all the beautiful dogs still in need of a home. I'd like to introduce you to Sugar and Spice, two 6-year-old pug sisters who are currently up for adoption at the Washington Area Humane Society. I know any family would be blessed to have these two gorgeous bubs! I'm 26, so I'm on the verge of losing my metabolism. And considering the amount of junk food I eat and how many naps I take, I'm probably never going to have it back once I lose it. Which is why I'm now a regular at the local YMCA. The horror. Luckily, there are classes included in the membership, including yoga 4x a week (which means I can finally justify buying these, especially since they're on sale). And while the smell of the pool tempts me every time I walk into the gym, I don't think anyone wants to see me doggy-paddle for 20 minutes to avoid the treadmill. I'm the first to admit that I do not have the best skin. "Combination" is what I think you'd call it. Difficult is what I call it. I regularly see a dermatologist, so I'm lucky in that regard. But occasionally I'll have a stubborn problem that won't go away. In desperation and on a whim, I picked this mask up at the local dollar store. I'm very impressed with it so far and have used it three times this week (okay, mostly just for a reason to have 15 minutes away from the dogs and to sit in the tub a bit longer). When my parents dropped off the china this week, they also brought along a photo album. I'm so glad they did. It's full of unposed, unpretentious images of love between my mom and me. And while the decades may have changed us (including the big hair, big glasses, and high-waisted shorts), I don't believe any of that love has diminished over the last 25 years between us. If anything, it has transformed into my mother being my best friend, the person I call for everything, and the strongest person I know. And last but not least...check to see if you vote this week! They say it takes 21 days to form a habit. Well, it's been 8 days since my last Weekly Edit, so by June I'm hoping I keep up with this additional newsletter. Truth be told, I've been busy. Between housework, blog posts, partnership opportunities, and going to the gym (a surprise even to myself), it's been a bit of a blur. Not a lot of Instagram or internet rabbit holes. And while I did finish And Then There Were None and the first season ofBreaking Bad, I don't have much to say for other accomplishments of the week. And yet, still, quite easily, I found a few things I want to share with you this morning. Let's start big and go from there. 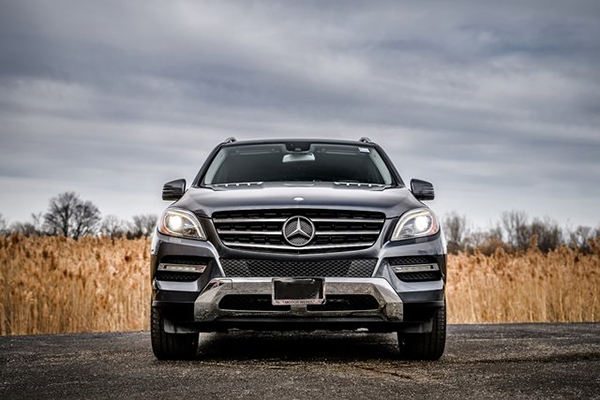 Until last Sunday, I drove a 2011 Mercedes GLK350. We got a great deal on it while we still lived in California; but it's done terrible in snow since moving back to Pennsylvania. It was time to upgrade (and stress-call my mom hours before signing the contract to talk me off the ledge). I am in no way a car person, but I'm loving two things about this new ML 350: it syncs to my iPhone easily and that it's just really pretty. I'm not particularly fond of Summer, but I'm craving the sun right now. And so are the dogs. Murphy and Elsa are both from California (Milo's a Texan), so they enjoy relaxing on the deck when it's 80 degrees. Truth be told, it's the main reason we got a sofa out there now. Here's a picture of a sleepy Elsa and a sleepy me after finishing up my workday on said sofa. Read (...and then Doze Off). I'm in a bit of a Wes Anderson renaissance right now. I recently housesat for my parents and watched The Darjeeling Limited and The Fantastic Mr. Fox. 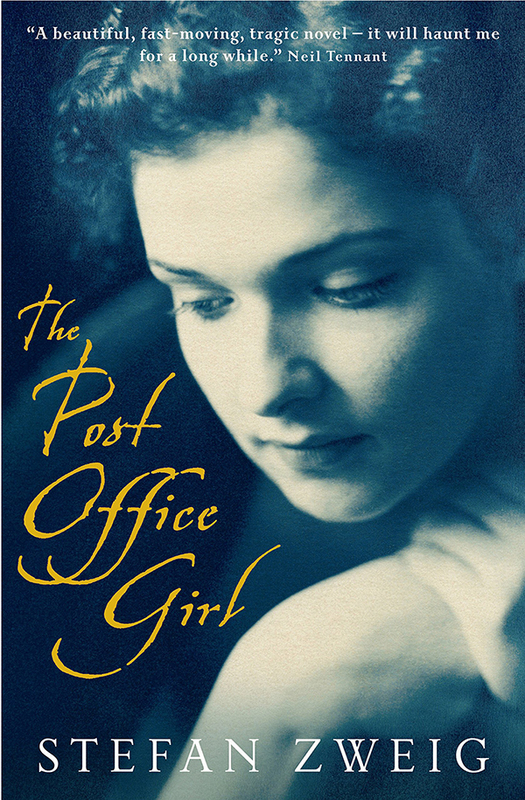 Still waiting for the opportune time to settle down for The Grand Budapest Hotel, I thought I would download one of the film's inspirations, The Post Office Girl by Stefan Zweig, to my Kindle. Zweig's biography of Balzac is currently being used as a coaster on my nightstand, so I'm hoping this one keeps my interest a bit more. I just started it last night. Stay tuned. The "Covet" section may just be a staple for me, as I tend to usually find a minimum of 5 things I want throughout the week. This little matching silk number by Charlie (shirt and pants sold separately) has me looking at flights to Greece for our honeymoon. Bonus for me, it's like looking in the mirror at the model above, of course. At $500 for the set, it's a little (a lot) more than I can spare on clothes, but here's hoping someone remembers to add this to my Christmas list in case I forget. I've been a vegetarian now since February, but I'm not tired of it yet. I keep my palate keen on new flavors so I'm never bored for long. And with warm days, we're keeping the oven off as much as humanly possible. Enter cheeseboards. 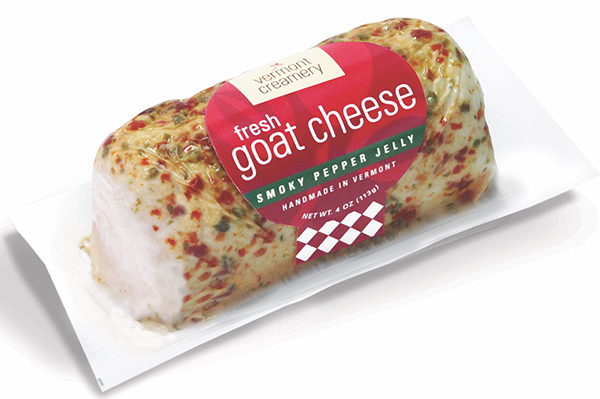 With Vermont Creamery's newest smoky pepper jelly goat cheese, a little smear on a cracker and I'm satisfied. 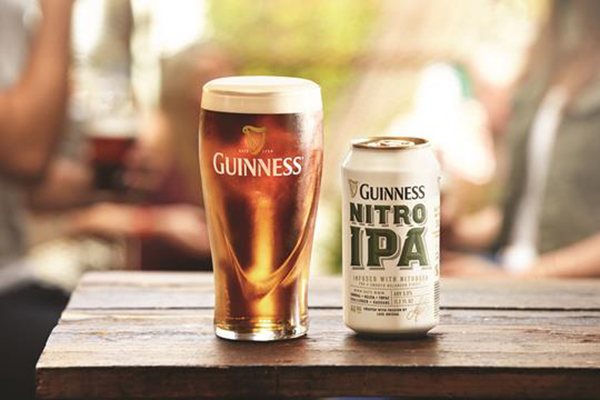 Add an ice cold Guinness Nitro IPA and I'm in heaven. Of course, how can I not mention the lovely pink lemonade poundcake that I made in this week's blog post? Tangy and moist, thanks to the addition of yogurt and olive oil, this cake was devoured by us and the dogs in one day. Topped with a lemon-spiked crème fraîche frosting, it never felt dense like some cakes can. Make this today - you have all the ingredients already, so what's stopping you? Summer's just around the corner, but will any of us ever be as beautiful as Lucille Ball or her dogs?